It’s difficult to avoid paying property taxes if you own real estate, but some states and localities are kinder than others—particularly when it comes to tax exemptions offered to senior citizens. Older taxpayers often find themselves in a position where their homes’ values have increased so significantly over the years that their tax bills have become almost prohibitive, at a time when they're trying to live on fixed incomes. Property taxes are imposed at state, county, and local levels. This is one area of taxation that the Internal Revenue Service doesn’t have a hand in, but that can be both a good and a bad thing. Blanket, coast-to-coast rules exist for federal taxes, but property tax rules can vary considerably from state to state. They can even differ from one city to the next within the same county. But some basic regulations and provisions apply in most jurisdictions and many states have state-wide rules. Understanding property tax exemptions begins with getting a handle on how these taxes are calculated. Your local tax authority will send someone to your property to appraise it and tag it with a market value based on things like comparable sales in your area and amenities you might have added. In simplest terms, your area’s tax rate is then applied to this value. So your annual property tax would be $7,500 if the assessor says your home is worth $250,000 and your locality assesses the tax at a rate of 3 percent. Exemptions don’t have any effect on the tax rate, and they don’t come off that $7,500 tax bill, either. They reduce the value of your home that's subject to taxation. Some areas offer a certain percentage off values, while others offer a dollar amount. For example, New York’s Senior Citizen Exemption is 50 percent of your home’s appraised value. If you’re lucky enough to live in that state and you qualify, your tax bill just dropped to $3,750 because your home’s value is cut in half to $125,000. Now let’s say your property is located in Alaska. This state offers a dollar amount exemption to seniors—$150,000 off the appraised value of your home. Here, you would pay only $3,000 annually on a property valued at $250,000 at a 3 percent tax rate: $250,000 less $150,000 comes out to $100,000 times 3 percent. The senior exemption is even better in the Houston area—$160,000 plus 20 percent off your property’s value. In fact, the vast majority of seniors living in this part of Texas do not have to pay property taxes. Honolulu comes close with an exemption of $120,000. Most states’ dollar exemptions are considerably less than this, however. The senior property tax exemption is just $8,000 in Cook County, Illinois, and this is actually an increase, up from $5,000 in 2017. And Cook County does things a bit differently. The exemption isn’t subtracted from your home’s value. It’s multiplied by the tax rate, then this amount is subtracted from your tax bill. At a tax rate of 3 percent, you can deduct just $240 from the second installment of your annual tax bill. Try not to spend it all at once. Then there’s Boston. This city offers a meager $1,500 senior exemption, but only if you literally work for it. You must volunteer 137 hours of your time each year to a city agency to qualify. Of course, there are qualifying rules for these tax breaks, and the first of these is your age. These exemptions are generally offered to those who are age 65 or older. If you’re married and own your property jointly with your spouse, only one of you must typically be 65 or over, and New York will allow you to continue claiming your exemption if your spouse was over 65 but is now deceased. Texas will do this as well, but only if the surviving spouse is age 55 or older. And age 65 is by no means a universal rule. It’s just 61 in Washington State. New Hampshire will increase your exemption over the years as you age, sort of like giving you a birthday present each year. Many locations require that you’ve owned your home for a prescribed period of time. It’s 12 months in New York, but if you qualified at your previous residence, you can carry that period of ownership over to your new home. Cook County, Illinois has a similar rule. And you must live in the property. It must be your residence. New York offers a slim exception to this rule if you must move into a nursing home, provided that you still own your home and your co-owner or spouse still lives there. But exemptions rarely apply to investment, commercial, or rental properties. Many locations set income requirements as well. If you earn too much, you won’t qualify, or at least the amount of your exemption will be reduced. And these limits can be stringent in some locations. The income cap in Miami, Florida is just $29,500. Some areas in New York will allow you to deduct the cost of prescription drugs and other medical expenses from your income to help you qualify. Can You Claim Multiple Exemptions? Almost all states offer more than just one kind of property tax exemption. It’s sometimes possible to combine your senior citizen exemption with other exemptions that are available in your area to help you control that tax bill. In some states, your senior exemption can be applied more than once if you’re taxed on multiple levels, such as by the county and by your city as well. Illinois lets you combine your senior exemption with its regular homeowner's exemption. New York is generous in a lot of ways, but if you own property here and you’re disabled in addition to being age 65 or older, you must choose between the senior exemption and the exemption for disabled homeowners. You can’t double-dip. You can, however, pair the senior exemption with other partial exemptions, such as those available for veterans and clergy members. If you qualify for New York’s Senior Citizen’s Exemption, this automatically qualifies you for the state’s STAR exemption as well. The STAR exemption applies to school taxes. A hefty exemption might be nice, but you might receive about the same relief as someone living in an area with low taxes, low assessed values, and just a modest exemption if property tax rates and home values are exceptionally high where you live. 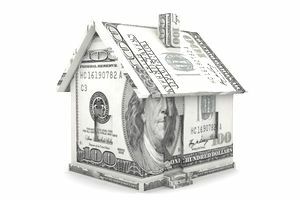 So what are the best states for property taxes before exemptions are applied? Investopedia lists seven: Hawaii, Alabama, Louisiana, Delaware, South Carolina, West Virginia, and the District of Columbia. But again, it can be relative. Hawaii has the lowest property tax rate, but it imposes a very high income tax rate. Meanwhile, the average home value in West Virginia is comparatively low, which might make this a better retirement choice overall. San Francisco offers an interesting perk as well: Property taxes are based on your home’s original assessed value. The property can appreciate like crazy over the years, but it’s only that first assessed value that counts for tax purposes. Property taxes are obviously not a one-size-fits-all calculation. It’s always best to check with the tax assessor in the area where you own property so you know exactly what’s offered there and how you can qualify. And keep in mind that these rules can change yearly.